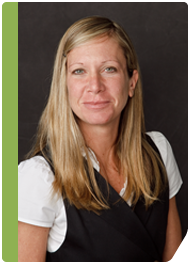 Poplar Healthcare » Amy J. Budke, M.D. Dr. Budke received her medical degree from the University of Oklahoma College of Medicine in Oklahoma City, Oklahoma. She was Chief Resident at Scott and White Hospital, Texas A&M in Temple, Texas, completing her residency training in anatomic pathology in 2006. Dr. Budke joined KMB, Service Corporation in Bloomington, Illinois as a Staff Pathologist in 2006 which included coverage of the Advocate Hospitals in Illinois. Dr. Budke initiated her gastrointestinal pathology fellowship under the direction of Dr. Jackie Makapugay at GI Pathology in 2011, becoming a Staff Pathologist in 2012. She is board certified in both anatomic and clinical pathology. Dr. Budke is a member of numerous professional organizations, including the College of American Pathologists and the American Society for Clinical Pathologists.